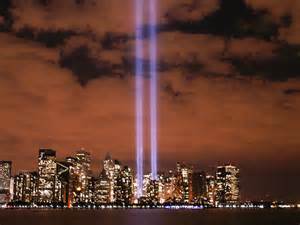 I vividly remember where I was on the morning of September 11, 2001, when I heard the news of the terrorist attacks in New York City. The events that happened that day will forever stay etched in my memory. So many feelings and emotions swept over me that day and in the days to follow — anger, fear, insecurity, doubt. Today, I read back through my journal of what I had written during that time. Thirteen years have passed since that tragedy rocked our world here in the United States. We still mourn the lives lost on that day. And today, in 2014, we still live in a world that seems out of control. Innocent victims suffer at the hands of the ruthless, and it can appear that evil is winning. We are tempted to question God. Where are You? Why are you allowing this to happen? Are You still in control? But the one thing that gave me hope on September 11, 2001, is the same thing that gives me hope today in 2014. God is still sovereign. He has never lost control, no matter how bad things may seem. We don’t understand why things happen as they do, but God knows why. He is still on the throne. Psalm 37 is a great reminder of the sovereignty of God and the destiny of the wicked. Take some time today to read through this Psalm. I pray we never see another day like September 11, 2001. But if we do, God is still on the throne. PreviousAre You Ready to Mentor?